Selfies are the new norm nowadays, with everyone carrying a selfie stick to capture that perfect angle, whether they’re with friends or alone. But the drone technology introduced a game-changer in the world of selfies: the dronie (aka the selfie drone). 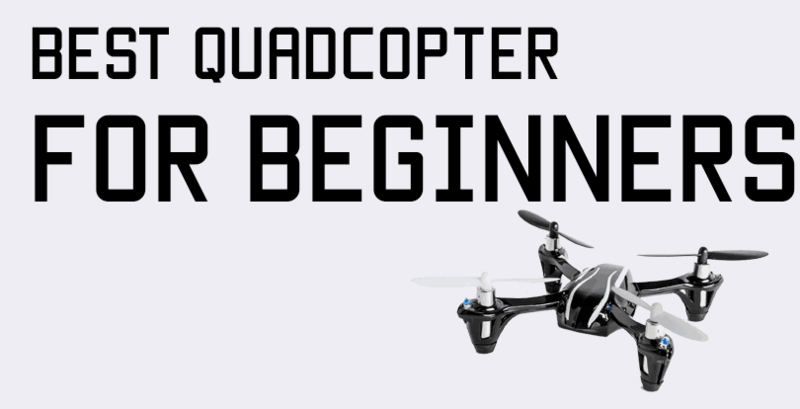 This is a quad for beginners created to take the best pictures of the object, regardless of the angle. Moreover, the best selfie drones come packed with a series of amazing features that render the stick obsolete and forgotten. Not to mention, some are quite acceptable when it comes to price! How to Use Selfie Drones? As you probably know, you can’t take a good selfie with a poor-quality camera! So, a dronie must pack a high-end camera, that is capable of capturing astonishing images. For instance, even though they are aimed at beginner pilots, some selfie drones offer professional 4K camera quality (as you’ll see in the reviews below)! Most of these models are pocket drones as they feature folding arms, a compact size, and they are easy to carry wherever you want to go. Imagine if you had to use a DJI Phantom or a Yuneec Typhoon to take a selfie! These are huge and rather heavy drones (compared to the dronies) and require more space to fly around and capture images. The thing that made the best selfie drones so popular is the fact that they can be used just as easy as you would use a selfie stick. 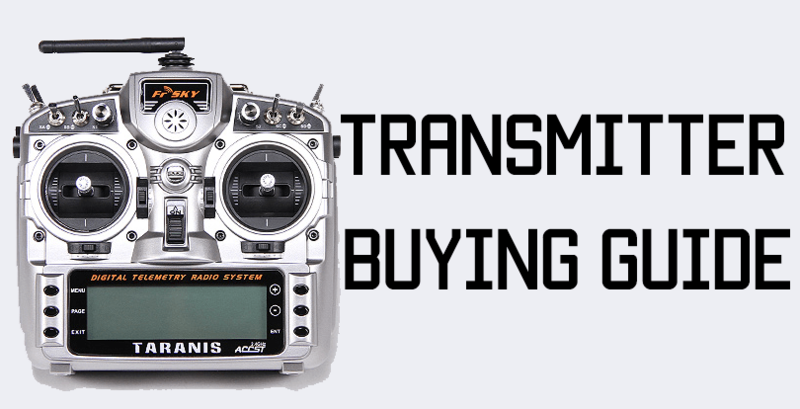 Features such as palm launch, FPV to your phone, smartphone control, programmed flight modes, and others take the learning curve out of the equation. The best selfie drones may be a bit expensive, but if you can afford them, I think they’re the choice to make. The bigger price brings advanced features such as Facial Recognition or Gesture controls that make taking pictures a fun process. Some models also come with things like Precise Positioning, Altitude Hold, Obstacle Avoidance or Follow Me mode. 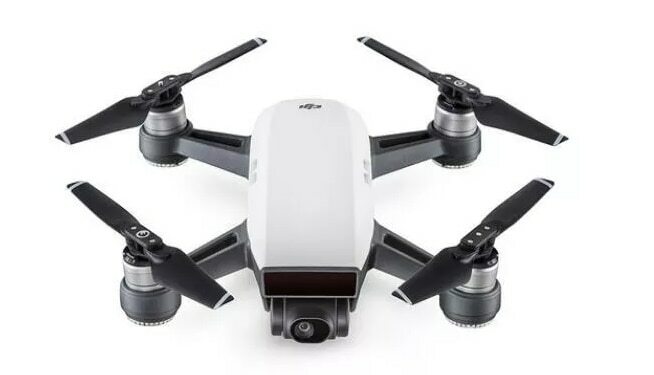 All these move the hard work of getting that jaw-dropping selfie to the drone, and let you enjoy your vacation and time with friends and family! Given that it’s a rather new concept, aimed at beginners, it’s best to have some guidelines on how to use it (especially since most manuals aren’t that helpful). Also, the selfie you take with a dronie is not exactly the standard selfie you take with your phone (you can do those as well, but you don’t need a drone for that). This is a short video that starts with you (or the group) in focus and then widens the angle to include your surroundings, resulting in a beautiful cinematic creation that leaves any viewer in awe. Practice various angles and positions for every new shot, until you take the one you love. If you still need some more guidance, here is a video tutorial on how to use a dronie. Small enough to fit in the back pocket (135 x 145 x 34mm), the ZEROTECH Dobby is equipped with foldable arms and props and can be controlled with a smartphone using the accompanying app. With the standard battery, it will give you about 9 minutes of flight time and 100m (328 feet) of range, which is reasonable for a few amazing shots. 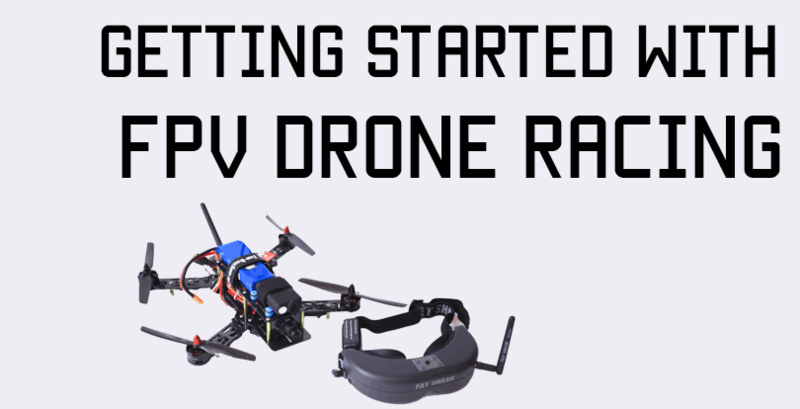 Through the app, users get FPV mode on their phone and can even share the videos and images directly on social media. 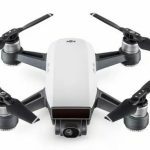 The HD 13MP camera supports 4K resolution and produces 1080p videos, while the drone is equipped with 3-axis image stabilization software for smooth videos. Also, the camera has four preset positions and can swivel 90 degrees. As advanced features, ZEROTECH Dobby can take off from the palm of your hand if the users give it the proper voice command (check the manual for this) and it understands hand gestures (you can change its path by simply waving your arms). It also has face recognition and target tracking, which put the drone in Follow Me mode. Finally, ZEROTECH Dobby comes with several flight modes among which is time delay, selfie, or burst. In selfie mode, it will take the video we came to know as a dronie without any extra adjustments from your part. 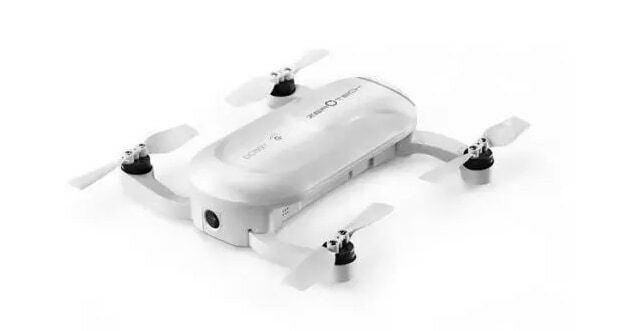 This tiny drone comes with a plethora of flying modes which allow users to take all sorts of creative and unique-looking videos and pictures. For instance, the Pano Mode (for both horizontal and vertical axes) takes several pictures from different angles and creates a beautiful panorama image. All the images and videos are taken using a 12 MP camera with 1080p video resolution at 30 FPS that supports live video feed to your phone. The connection is done via WiFi, but you need to use the DJI GO 4 app for this. Now, even though the camera’s mechanical gimbal has a 2-axis system, the images and footage will still be stable and smooth, due to the built-in UltraSmooth technology. Not to mention, the Spark supports a range of up to 300 feet and it gives you about 16 minutes on one battery load! Spark can also be used in Follow Me mode and has Auto Exposure Bracketing, Timed Shot, Shallow Focus and more. Other cool features include Quick Launch (from your hand), Face Aware, Object Avoidance (to avoid collisions), and Return to Home (due to GPS technology). It’s also rather fast at about 31 mph in Sport Mode, but I wouldn’t recommend it unless you’re an experienced pilot! So, there’s a lot to discover about it! 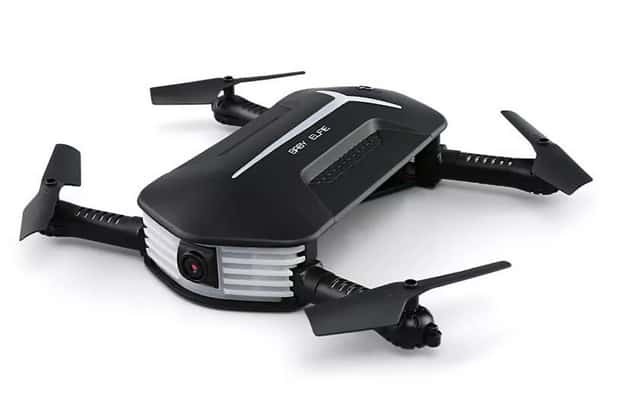 The Eachine 50 quad is one of the best selfie drones for a low budget because it packs a lot of cool features such as foldable arms and a compact design (about the size of a smartphone). The drone communicates with your smartphone via WiFi, but you need to install the WiFi UFO app which also provides FPV to your phone screen. The cool thing is that you have two ways to drive it: via controls on screen or tilting the phone, thus using the G-Sensor control. The 2MP HD camera can be manually tilted upwards or downwards and delivers 720p video resolution. While this may not be the best camera quality, the images and videos I took during my review are just right for various social media platforms. The Eachine E50 also features 6-axis Gyro for increased flight stabilization, headless mode (so you can fly it with ease), and Altitude Hold so it hovers in flight. For the more adventurous pilots, it also does 3D flips and rolls due to Precise Positioning and comes with LED lights for flying in the evening or low-light conditions. As a smaller and improved version of the Elfie drone from JJRC, the Mini Baby Elfie comes at an incredible price. True, it only has a 720p camera and it can only fly about 6 minutes on one battery charge, but this is enough for a beginner! The drone comes with a carrying case that you can fit around your arm (like you would a smartphone during a fitness session) and a controller you can use with one hand. It can also be controlled with your smartphone, via the accompanying app. In terms of performance, the Mini Baby Elfie is very stable in flight, it has Altitude Hold, headless mode, and G-Sensor control so you can control it with tilting gestures (using the provided remote). Also, the camera angle can be adjusted 30 degrees and uses WiFi to transmit real-time FPV to your phone. Advertised as one of the best selfie drones on the market, the Wingsland S6 is thin, compact, and features a 4K-capable 13MP camera! Besides this, it recognizes gestures, has Obstacle Avoidance, and comes with four flying modes (among which is the famous Follow Me). Wingsland S6 will take off from your hand and can land automatically, without any assistance from your side. I like that it has rubber feet, that take away from the shock of landing (not a feature you see often in dronies). To control it, all you need to do is install the Wingsland Fly app which gives you access to a series of features and provides information on battery status, signal strength, and satellite connections. 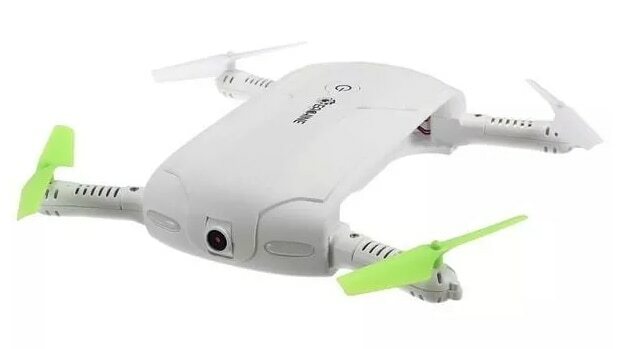 In terms of image, the drone is well-equipped and can even take good quality selfies in low-light due to the LED light used to increase lighting. This can be used like you use the flash on your phone and can be activated via the app. Finally, to keep vibrations to a minimum, the quad is equipped with a precision barometer that allows it to hover as smoothly as possible. You should also know that one battery charge should provide about 7 to 10 minutes in the air. I honestly find selfie drones to be cool and interesting, but if you’re only looking for a quad to fly around, you may be disappointed. 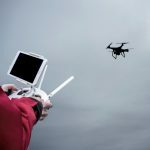 Since their focus is on image quality, they come with good cameras, flight stabilization technology, lots of preset flying modes, and simple controls. On the other hand, the flight time is not stellar, and they don’t fly at very high speeds. So, if you want to replace the selfie stick with something better, a dronie will definitely do the trick!